My vision for the staging of The Sonata Project, was to provide a kaleidoscope of colour, pattern and texture that is richly decadent. In the 19th-century mansions of Paris, female leaders of society hosted soirees at which the aristocracy mingled with intellectuals, writers, artists and musicians. In such salons the shy Chopin would perform his intimate piano masterworks, almost entirely eschewing public concerts. 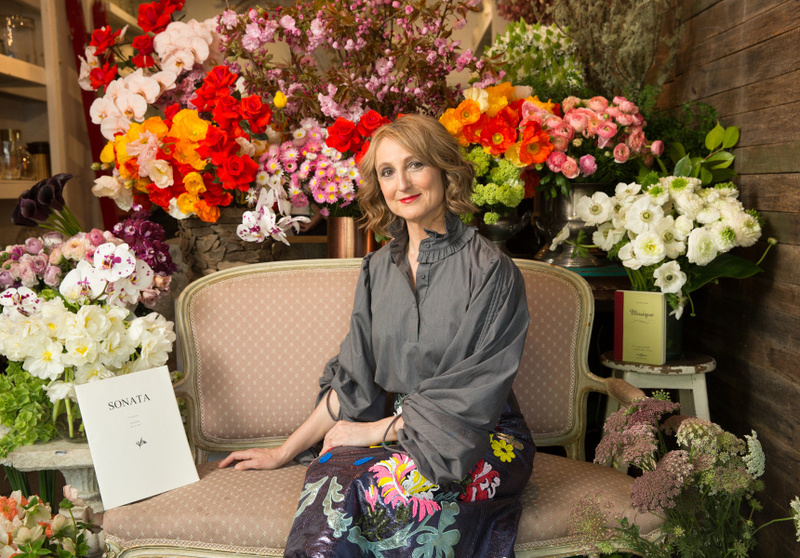 Australian pianist and lecturer Bernadette Harvey will recreate something of that milieu on November 11, turning the Sydney Conservatorium of Music into a salon, with two large canvases by Sydney artist Lara Merret, magnificent floral creations by Myra Perez of the My Violet florist studio, and props arranged by interior designer Lynne Bradley. Harvey herself will wear Romance Was Born outfits. The purpose of this opulence is to frame four new piano sonatas by Australian composers in the first recital of Harvey's Sonata Project. 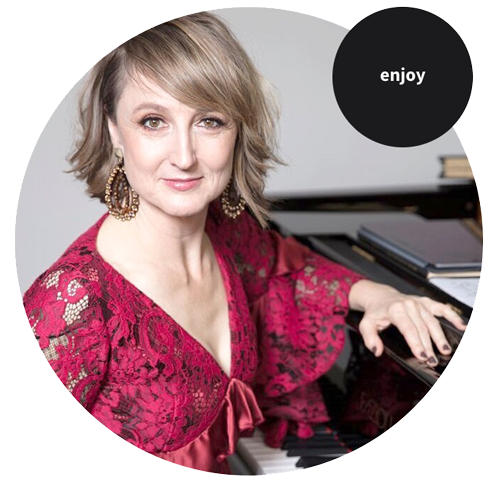 Her threefold ambition is to support 21st-century Australian composers, fill a void in large-scale piano works by female composers, and to keep the classical acoustic solo piano recital alive and engage new audiences. "I adore the instrument," Harvey says. "I've been playing it since I was two, and my love for it hasn't waned. The idea is to keep it relevant, bringing it up to date, and including a much wider audience, a much broader reach into the community." She is concerned that the traditional recital is increasingly confined to a small number of star pianists who travel the globe. "I've heard it said that the piano is a dinosaur and the piano recital is not relevant any more to young people. I love those recitals, but a lot of the repertoire is of the standard canon and attended by mostly elderly people." Despite that, Harvey feels positive about the future of the piano. But she recognises the need to engage a younger audience, who she says no longer receive the same musical education in schools and often do not know how to listen to longer works. Harvey will give the world premiere of new sonatas by three young Australian women and by Ross Edwards, one of Australia's most acclaimed composers. The women are Sydney composer Aristea Mellos, Jane Stanley, who now lives in Scotland, and Melody Eotvo, who is based in the United States. Women today have largely achieved parity in orchestral numbers and as solo performers, but not as composers. Aristea Mellos says women could have careers as virtuosi and, particularly, vocalists in the 19th century but often used a male pseudonym to write. 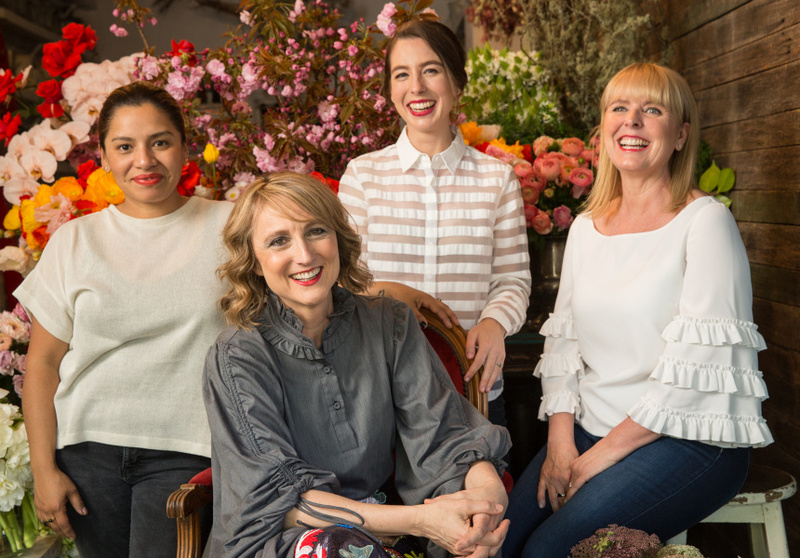 "It begins with Clara Schuman and Fanny Mendelssoh, and then you get the Dame Nellies– people who were able to subvert the rules of class," she says. "The equivalent doesn't occur with composition until the mid-20th century; that's when we begin to see women having their works performed publicly or even accepted into academic institutions as composers. "So for us everything is just beginning, it's really emergent, and in some ways that makes it difficult because for so long we've been excluded from music history or denied a voice. But things are just beginning to happen for women in the field of composition, and it's exciting." Ross Edwards is supportive of the salon concept. "I think it's a terrific idea. What she's trying to do is wonderful, and it reminds me of what I tried to do for orchestral music in the late '80s. I wanted to get suitable lighting to create a visual atmosphere which would enhance the music, and it worked brilliantly. "Then I started putting people into costume," he recalls. Australian oboist Diana Doherty performed his oboe concerto dressed partly as a bird, "and she was totally thrilled and went around the world doing that." Saxophonist Amy Dickson played his concerto as a goddess, cleverly changing costume on stage. "I think that's what Bernadette is getting at, to recreate the romance and make music into something more than a whole lot of bottoms sitting in a hall trying not to rustle their programs or cough." Edwards' new sonata, Sea Star Fantasy, is based on a famous and beautiful fragment of medieval plainchant called Ave Maria Stella Maris. He often uses plainchant as a unifying device, to bring another dimension to the music. "My music is based on the sounds of the environment, but is clothed with all sorts of references to other cultures. 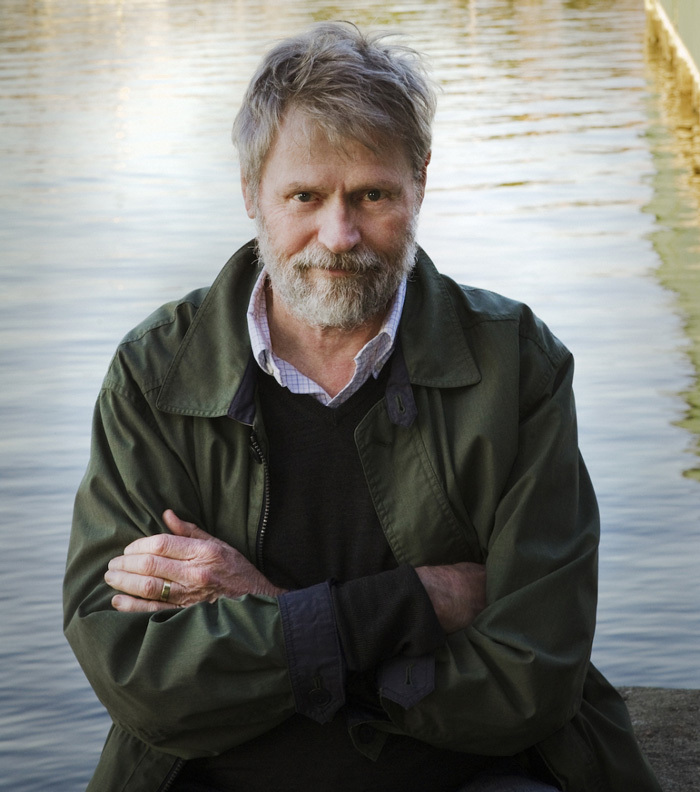 Because it is a distillation of the sounds of the environment, I feel I am able to look at the world as an Australian and send the music out with that particular flavour." Mellos was inspired by a week in Rome. The exuberant first movement is based on a party near the Pantheon, while the much darker second movement recalls a visit to Cardinal Spada's Gallery, with his grotesque collection of deformed children, crucified martyrs and gory biblical scenes. The final movement, Vanishing Point, is inspired by forced-perspective frescoes found throughout Italy. Harvey wants to take the Sonata Project to other places in Sydney and around Australia. It will be an ongoing series, and she already has people writing sonatas for the second iteration in late 2018. Although Harvey relishes the many links with women, past and present, in the first concert, she is wary of allowing a gender focus to dominate the Sonata Project. She doesn't really feel it is necessary – it is hard for anyone to get new works performed today. Although she could count on one hand the number of large-scale piano sonatas by women in the history of recorded composition in Australia, affirmative action is changing that. "The University of Sydney has hired a world-famous composer, Liza Lim, to head composition. I think that now women have just got to get on with process of writing, getting more confident and writing big virtuosic works," she says. "That's what I hope to show in this concert; these works are big, they are bold, they are great to play, and I'm sure they will be taken into the repertoire of Australian pianists – they're that good." The Sonata Project will be unveiled at the Sydney Conservatorium of Music on Saturday, November 11. Limelight Magazine | Bernadette Harvey: what is the future of classical piano music? 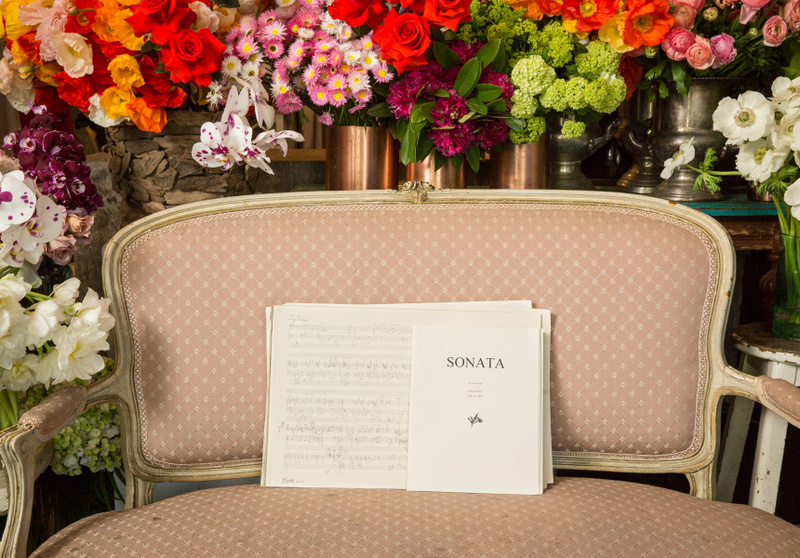 The Sonata Project is designed to capture the opulence and excitement of intimate 19th Century European music salons where great musicians launched new works. I have orchestrated the overall design of this project including the stage décor. 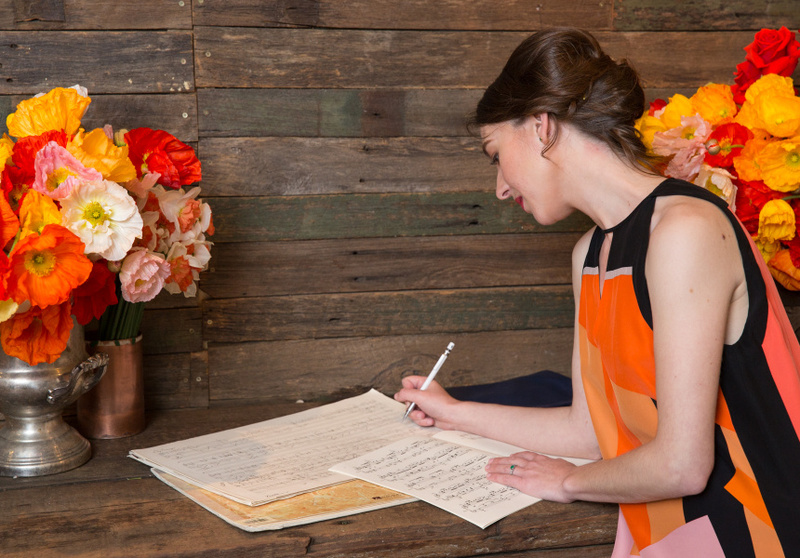 Props by leading furniture makers together with abundant floral arrangements, frame immersive paintings. This set will transport the audience into an sensory utopia. The pianist will explore this question and more through the premieres of four new works in a setting of Lisztian opulence. How did the idea for the Sonata Project evolve? The sonata project is my response to three questions: is the piano sonata relevant to composition of the 21st century? ; why are so few piano sonatas written by female composers? ; and what is the future of classical piano music? What do you hope to achieve through this project? I am enlarging the number of large-scale, serious solo works for piano written by Australian women composers. I hope for a time when these compositions are featured in serious piano recital programmes the world over. I’m presenting these new works on a stage adorned by the work of some of Sydney's best creative designers and artists and is my way of showing my respect both for the value and importance of the new works as well as my appreciation for all art forms. Kurt Vonnegut's famous quote sticks with me: simply that “art is a very human way of making life more bearable.” I would add to that, more beautiful. Bernadette Harvey. Photo © Craig Wall, styling by Lynne Bradley. What were some of the things you wanted to keep in mind when putting together the programme? Well, above all to excite the imaginations of the audience. To show them that there is more to musical life than Beethoven and Mozart! And that these sonatas can be as easy to get to know as any of those by the Old Masters! In choosing the sonata as the compositional model for the project and the concerts, I’ve determined the kind of programme I want to deliver and made my job much easier than it normally is. Programming is an art in and of itself, and a difficult one especially when considering the overwhelming amount of material that exists for solo piano! In terms of the sonatas themselves, I asked the composers to write a large-scale serious work for piano according to their individual responses to the word, Sonata. The programme I will present on November 11 is one of great variety – dark and frightening at times, lush and romantic, exciting and virtuosic. What is it about the music of each of these composers (Aristea Mellos, Melody Eötvös, Jane Stanley and Ross Edwards) that speaks to you? Of course it is the shock and the excitement of the NEW, but mainly it is the ethos of the journey it has taken them on. Interestingly, each one was greatly challenged by the prospect of writing a sonata – it has such an esteemed pedigree. They had to think big and bold and virtuosic, and each one has achieved this in vastly different ways. Not one of the women had written a sonata before! Aristea’s evokes the sounds, colours and moods of her time in Italy – I am attracted to the use of lyricism and compelling rhythmic movement of her first and third movements which are cast in the lush mode of E Flat Minor. The slow movement in particular is evocative, with the ghastly “suffocating” atmosphere of the Cardinal Spada gallery – this movement winds itself up into a glorious, though short-lived, climax. Melody’s sonata grips me in a malevolent and pervasive strangeness that I imagine to be the “King in Yellow” upon which the work is based. She magically maintains this dark presence throughout, whilst portraying through sound-imagery the unfolding action of the ghost story of the Demoiselle D’ys. Her working out of the sonata form is extremely subtle – she forced me to dig deep into the intricate textures and overlapping thematic material to get at the truth. I enjoyed this challenge! Jane’s sonata is tightly and remarkably designed for a composer whose harmonic language is essentially non-tonal. It is muscular, powerful, gestural and incredibly virtuosic. The slow movement, despite the dissonance, has some achingly beautiful moments brought about by her keen examination of the use of pedalling and other technical devices unique to the piano. And finally Ross’s work, as with every piece I have played of his, expresses the joy of life, positivity, love of and beauty of nature. He has used as his inspiration one of the most beautiful of chants in honour of the Blessed Virgin Mary, Star of the Sea, and its gently mournful arcs are heard throughout the first movement. The lushness of the E flat mode connects this sonata with the first on the programme, Aristea’s, giving the programme a sense of communion. The following movement springs to life in a typically exuberant, rhythmically compelling joyous dance, interspersed with wild bird calls. The cool, quiet moments to me are like being at rest on the floor of a forest, listening to its sounds, and the faint return of the chant is like a dream. These sonatas are all close to me now. I love every part of each one and I can’t imagine life without them! The composers have poured their hearts and souls into these compositions, and it behoves us as players and listeners to give them profound and wholehearted attention, and to find the jewels which lie hidden within them. How collaborative was the composition process? Pretty close, yes, but not overpowering. They all know my strengths and how to play to those. They would send me snippets, which I would comment on – and of course we workshopped them – some in the flesh, others by electronic means, so that there is nothing which the audience will hear that we haven’t worked on together! I compose a little myself, so I am very aware of my role as a presenter, but I think the composers have found it useful to bounce some of their best ideas off me as they push their own boundaries. What were the challenges in putting this together? There was of course the question of funding. How to buy these gifted composers the time to work. That’s where the Australia Council comes so splendidly to the rescue of composers such as Melody, Jane and Aristea. A private donor sponsored the piece by Ross, and dedicated it to the love of his life. And of course I am indebted to Tall Poppies and Belinda Webster, who has produced the Sonata Project’s first CD, not to mention my husband Peter, my recording engineer and editor. Since part of my Project was also to construct a magnificent setting – such as Liszt used to organise for his salon concerts – I was fortunate to have the services of Lynne Bradley, who has designed a beautiful stage setting, and Romance is Born which has provided me with unique gowns. What can the audiences expect to hear in this concert? Because I am a performer first and foremost, and it is musical death for a performer to get so stuck in the old, ‘acceptable’ repertoire that, by the time you’ve discovered what new excitements lie ahead, it is too hard to play it! I also feel as I mature that I want to contribute something of considerable value to the next generation of performers and composers, and to Australia’s cultural identity. Where do you want to see the Sonata Project go from here? I see no end to it, for it is a very viable and flexible art form, and will endure as long as good, original piano music endures and as long as there are composers wanting to write for it. Oh, and as long as we have The Australia Council, Tall Poppies, the Conservatorium and… the audiences to support us! Bernadette Harvey performs The Sonata Project at the Sydney Conservatorium of Music's Verbrugghen Hall on November 11. For designer Lynne Bradley, who heads up Lynne Bradley Interiors, a love of design was influenced by two primary driving forces. The first was her mother, who had a true passion for creating a beautiful home, and the second was her appreciation and participation in the performing arts. In fact, Lynne’s first career was as an agent for classical musicians in London, after receiving her music degree from The Conservatorium of Music. Her design career evolved organically following that, as she found she was often working on projects for friends. We had the opportunity to speak with Lynne recently about her work, which she considers a design journey. Her goals are to bring together creativity, flexibility, and practicality in her projects, and she prides herself on the ability to source the finest in interior items thanks to her work with elite architects, artisans, and suppliers. Lynne works across aesthetics and brings together an inspired infusion of her love for fashion, architecture, nature, fine art and the performance arts. 1. When did you first decide to become an interior designer and stylist and how did you get started with your design business? When I was a child I could always be found rearranging my room and making things. I was very creative and had a big imagination. My first career was as an agent to very famous classical musicians in London, having completed my music degree at The Conservatorium of Music. During my time as a student, I used to style a choir that I was in and create stage sets for my piers performances. Then, moving into arts administration I was often locating venues for concerts, styling the stage and designing the programs and posters. One highlight in this career was meeting and collaborating with former Beatle, George Harrison, who would always help me set the stage for Ravi Shankar who was one of my artists. I was definitely influenced by my mother who was always sewing, painting or wallpapering our home. She had a great stash of textiles which I used to help myself to or I would pick up her scraps and turn them into something. My mother loved making our home welcoming and beautiful and was constantly redecorating the house. I believe in the term that ‘you learn your trade around the kitchen table’. As a sewer myself, I was often making curtains, blinds and cushions for my friends, so in a way, I was always a designer. 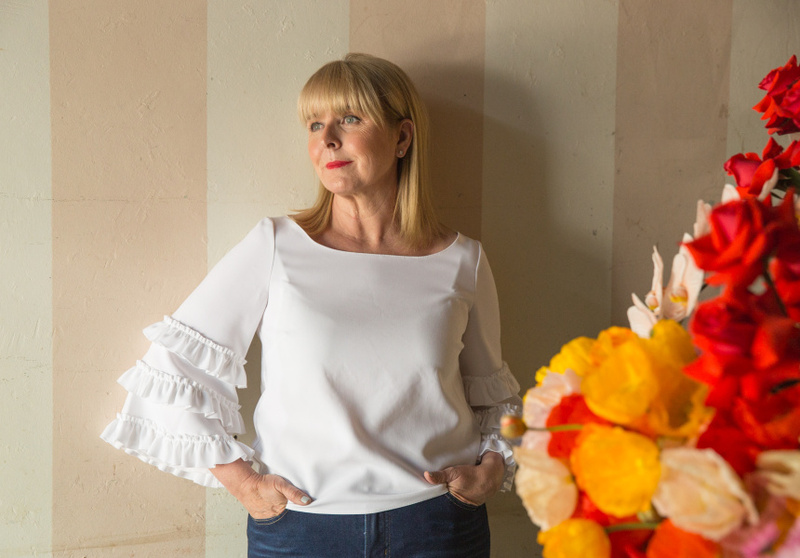 It wasn’t until I was pregnant with my third child and having renovated my own first home through which I realised I had a talent for design, that I decided to study interior design and embark upon my second career. I did a lot of work for family and friends for free to practice on them and got a lot of compliments, so my business sort of took off from there. I have been in business for 17 years now but only in the last 4 years, due to a young family, have I really let it take off. 2. What is the most challenging part of your job? Orchestrating the minute details of lining up trades and suppliers to keep a project running on time as well as helping my clients to appreciate that their beautifully crafted bespoke pieces take time to deliver. 3. Is there an interior design style you favour and do you have your own design aesthetic? I am not a believer of favouring one style over another. I am inspired by so very many genres and love everything from Classic English design to minimalist contemporary. My own design aesthetic is to respond to the clients and the architecture of the space I am working on, making my style bespoke and individual. I am known for my use of colour but I am equally happy working with a monochromatic palette if that is what is required. I do love a touch of glamour and enjoy an eclectic mix of pieces that have been collected over the years, and am focused on delivering a one of a kind result to my clients that is multi layered. I am passionate about unique design. 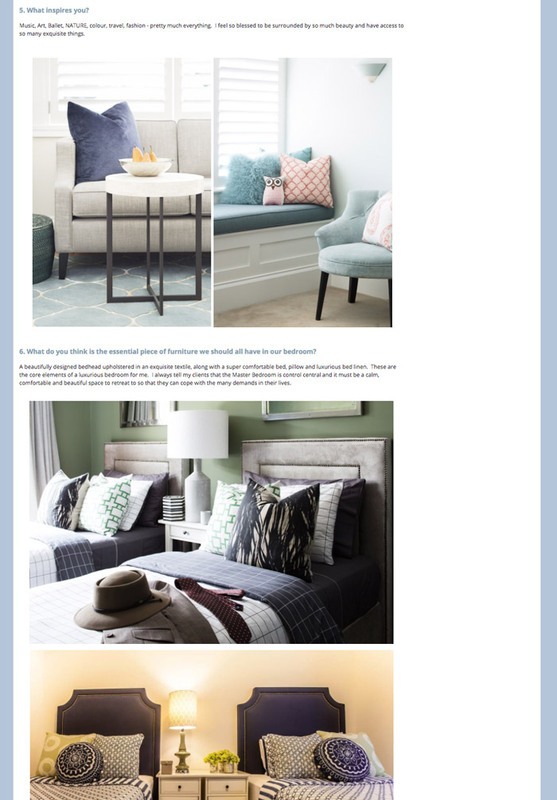 4. Who are other interior designers you admire? 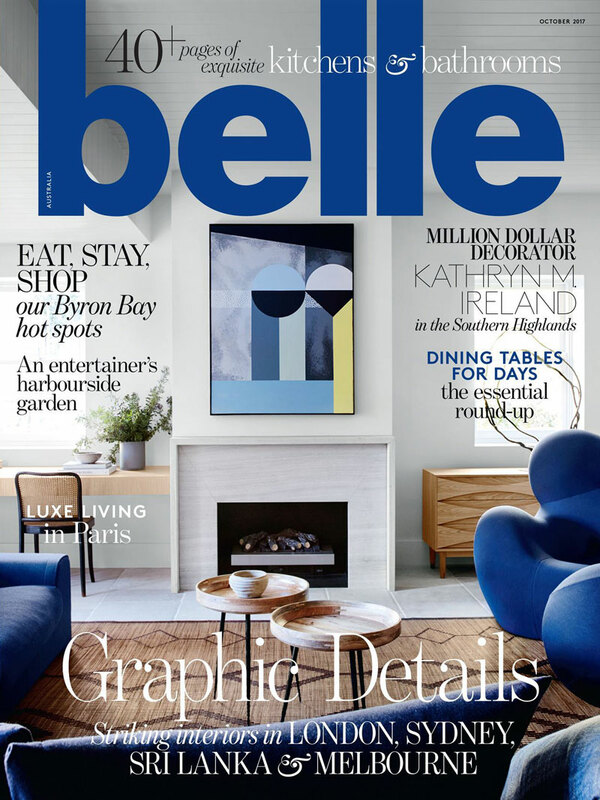 There are an amazing number of talented Australian designers whom I greatly admire and these included Thomas Hamel, Blainey North, Cameron Kimber, Melissa Collison, Adelaide Bragg, Greg Natale, Arent Pyke. My international favourites Isle Crawford, Kelly Wearstler, India Mahdavi, Kathryn Ireland, Jean-Louis Deniot, Mark D. Sikes, Kit Kemp, Stephen Gambrel. Music, Art, Ballet, NATURE, colour, travel, fashion - pretty much everything. I feel so blessed to be surrounded by so much beauty and have access to so many exquisite things. A beautifully designed bedhead upholstered in an exquisite textile, along with a super comfortable bed, pillow and luxurious bed linen. These are the core elements of a luxurious bedroom for me. I always tell my clients that the Master Bedroom is control central and it must be a calm, comfortable and beautiful space to retreat to so that they can cope with the many demands in their lives. A luxurious, generous and comfortable sofa and armchairs that you can sink into. Ottomans to put your feet up and a beautifully curated coffee table that tells a story about the inhabitants. 8. Do you have a favourite project or story behind a project? All of my design work is very personal to me and I put a piece of myself in each space. I guess that my favourite projects are those that are fully appreciated by my clients. Lynne has a unique idea about design. 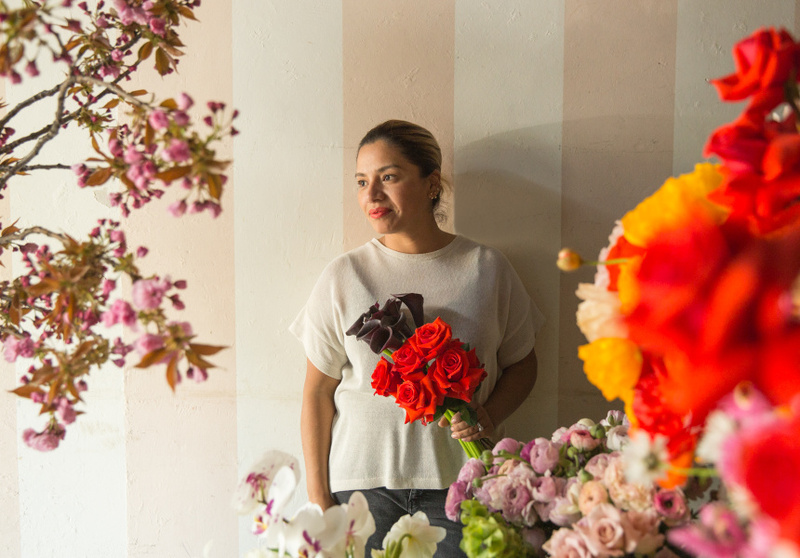 She sees her work as ultimately about problem-solving for her clients, and with that, she integrates an appreciation for the long-cherished items with fresh design and bespoke pieces. Lynne is likely to continue spending her free time creating beautiful things and enjoying hobbies like singing, as well as being with her family. All of the experiences she appreciates in her free time are also likely to continue influencing her work in a significant way. 1. What else are you passionate about besides your work? My family comes first and they are my number one passion. I am blessed to have my husband Mark, two sons James and Harrison, and daughter Emma. I am also passionate about art, architecture, fashion and the performing arts. I also love to bake, paint, sew and craft in my spare time and am very much a ‘maker’. 2. What is your most treasured belonging? Precious ceramics passed down to me from my Great Aunt and my mothers tapestries that she has made for us. I also treasure photos and videos of my precious children as they were growing up. 3. What's one thing people may not know about you? That I sing in a choir called Soulfood A Cappella and perform regularly in Australia. I am also a massive bower bird and love to pick up and style with flowers and other things from nature. 4. In 10 years I'd like to be …. I am passionate about Interior Design and I will still running my business and helping my clients to achieve spaces that improve their lives. I embrace change and look forward to developing as a designer and developing a product range and maybe being on a design show. I look forward to helping others achieve their goals. 5. What can't you live without? My beautiful family and friends as well as being surrounded by nature and colour. Designer Lynne Bradley had chosen the galley style layout for this open-planned kitchen to allow for sufficient space for the family to work together and comfortably flow through the corridor of joinery to other areas in the home. The kitchen envelops the dining area and is not short on storage. The introduction of a cut-out in the island adds interest and a useful shelf to display treasured pieces. This motif is repeated in the wall unit on the opposite side of the dining area. 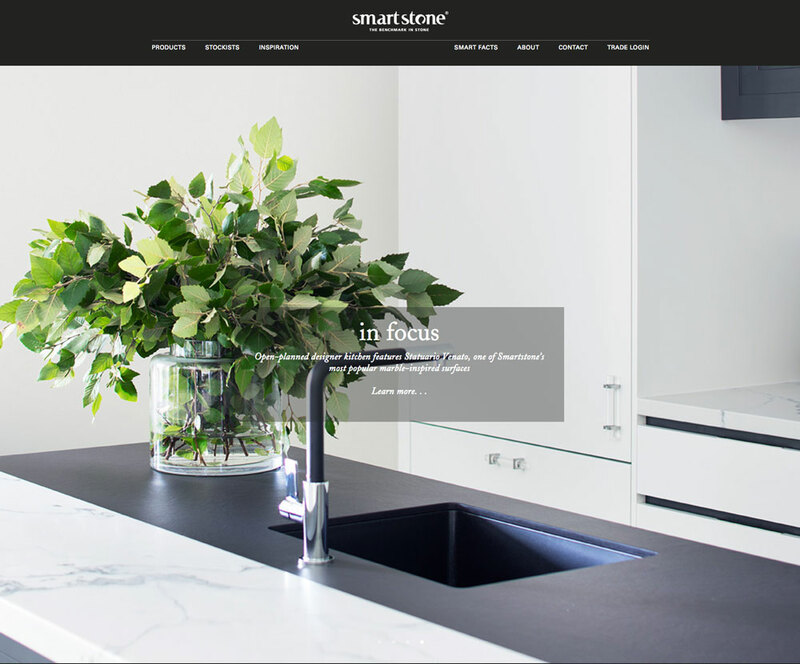 The surface of choice for the cut-out, splashback and display shelf is Smartstone Statuario Venato, a beautiful surface inspired by the prized Statuario marble and featuring a luminous white background with fluid grey veining. A collaborative project has turned the classical music experience on its head. 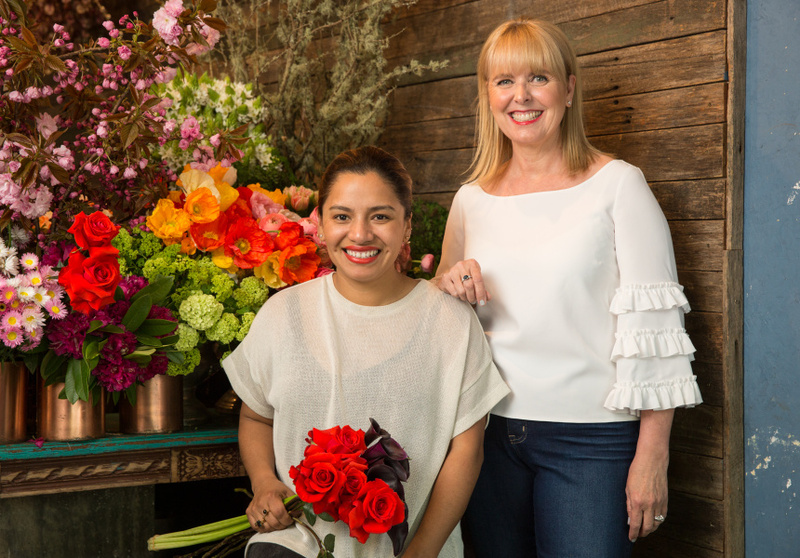 A new kind of classical music event happening next month will feature fashion label Romance Was Born, large-scale artworks by local artist Lara Merrett and stunning floral designs from Redfern florist Myra Perez (My Violet). Called The Sonata Project, it’s by internationally acclaimed musician Bernadette Harvey; an innovative collaboration that marries bold new piano sonatas written by three young local female composers with captivating visuals from established artists. A pianist who received her first medal at just two-and-a-half years of age, Harvey regularly collaborates with international solo and chamber musicians and has noticed the need to make classical concerts more relevant to younger audiences. In 2014 she won a grant to explore whether or not the sonata is still relevant in the 21st century. The result is The Sonata Project: three new 15-minute sonatas by young Sydney composers Aristea Mellos, Jane Stanley and Melody Eotvos performed by Harvey, and a sonata by celebrated Australian composer Ross Edwards. Part of Harvey’s mission was to reach a broader audience, so rather than the usual deathly quiet and often monochromatic experience of classical concerts, she has planned a stunning visual component of the performance. “I hear a critical voice saying music doesn’t need other things, but I counter that with the fact that today’s society is very visually stimulated. We don’t have the training we used to have in how to listen to music, so we’ve isolated a lot of people. And apart from the visual beauty of art and the floral arrangements, and the gorgeous world-class instrument – a Fazioli – we’ll be using, it’s a way of inviting people to celebrate art,” says Harvey, who also lectures at the Sydney Conservatorium of Music. Harvey has collaborated with interior designer Lynne Bradley, a former fellow student at The Con, who reached out to Romance Was Born designers Anna Plunkett and Luke Sales. The duo, which has also collaborated with The Sydney Theatre Company, invited Harvey and Bradley to its Sydney factory. “They were very unassuming but such talented, beautiful people,” says Harvey, who will wear four different designs selected by RWB to complement the music. The addition of Merrett’s large-scale canvases and the floral arrangements complete the picture. Mellos began composing her piece years ago while studying at the Eastman School of Music in Rochester, New York, and says she was initially overwhelmed by the weight of expectation. Inspiration struck during a Roman holiday in 2014. The first of her three movements is about a crazy party she attended one summer evening in an apartment overlooking the Pantheon. “It was like being in a Fellini film – people speaking five different languages, everyone smoking and drinking and singing Puccini arias; while the noise from the street bounced up from the cobblestones below. It was wild,” she says. The second movement is much darker and more ominous, the result of a fascinating yet horrific art exhibition she visited in Rome. The third ponders perception, from Italian frescoes’ habit of challenging and playing with visual perception, to one’s place in the world. “It took years to write but I think it’s one of the strongest things I’ve ever written,” she says. During her performance Harvey will be encouraging both applause and vocal appreciation, not common at most classical music events. “I want it to be more joyful: hence the staging and clothing. I still love studying the classics, but I do see it as my vocation to reignite some excitement and passion for the music that’s written today,” says Harvey. The Sonata Project will be performed at the Verbrugghen Hall, Sydney Conservatorium of Music on November 11. Tickets are available here. I am thrilled to see that a very special project that I’ve been working on, as Creative Director, has made it into the Financial Review! Expect a fully immersive experience when pianist Bernadette Harvey takes on The Sonata Project, a program of three world premieres written by female Australian composers Jane Stanley, Aristea Mellos and Melody Eötvös, with a fourth work by Ross Edwards. Intended to evoke the aesthetic and ambience of a 19th-century musical salon in Europe, the concert also features striking furnishings and props, paintings by Lara Merrett and floral arrangements by Myra Perez. Harvey will wear creations by Romance Was Born. Read our tips to create an incredible home theatre experience! Designed by Lynne Bradley. Image: Craig Wall. The TV is clearly the centrepiece of your home theatre and most important question to ask yourself is “how big should my screen be”? It’s a question a little like “how long is a piece of string” – the answer will depend on a lot of factors. But when we’re talking home theatre it’s better to go big, so we recommend a minimum of 55-inches, which is fast becoming the most popular screen size in Australia. From there, you can basically go up and up until you run out of room and budget. Lynne Bradley is the principal designer at Lynne Bradley Interiors and an expert when it comes to designing your home theatre. Lynne notes that when choosing a screen size, you need to consider the optimal seating distance. If money and space are no issue, Lynne suggests choosing the largest screen you can afford. The Hisense Series 9 ULED TV, available in 75-inch or soon to be released 85-inch is a fantastic option for the ultimate home viewing experience. MORE: What to look for when buying a new TV in 2017. Lynne recommends a height of around one metre, based on the eye-level of an average size adult while seated. This is another popular question. There’s no doubt that a wall mounted TV looks impressive, but is it right for you? The layout of your lounge room be a major factor in this decision. It’s worth taking some time and figuring out the ideal place for your TV— it may not be the position you have it in now. “Think about your floor plan to maximise room flow, seating, reflections from lighting — even storage needs,” says Lynne. Once that’s done, you can determine if the wall can take the weight of your screen and whether you’ll need an electrician to hard-wire the power or even install more power outlets. Don’t forget to factor in the distance and height issues previously mentioned. That’s the screen taken care of, but vision is only half of the home AV experience. A good surround speaker system can turn a simple movie into a truly immersive show. It’s easy to get hung-up on the numbers when you’re looking at 7.1 channel speakers and high-end AV receivers. Even the experts agree that this can get very confusing. Much like TV size, the number of speakers you want around a room will depend on how much space you have and how much cabling you’re willing to have running around. If you have the space, you should be looking at 5.1 channel surround as a minimum. That gives you rear speakers and a heavy bass blast from the subwoofer — and if you like your action movies, you’ll really notice the difference that brings. MORE: Our pick of the top 5 Aussie shows to watch on Stan. However, a good option for people with limited room is a soundbar. These replicate surround sound rather cleverly, despite usually being a single speaker unit with a subwoofer. A soundbase is similar, but designed to sit under your TV instead of in front. Unless you’re only watching Freeview and video on demand services like Netflix or Stan, you’ll want a media player. If you’ve got a 4K ULED TV — and you really should — then you’ll want to splurge on 4K Blu-ray player to get the most from that pixel-packed screen. The Xbox One S is a good option here — it not only plays 4K Blu-ray, it’ll keep you entertained gaming wise as well. #HisenseHack: If you can, make sure you hardwire your TV to your network with an Ethernet cable rather than relying on Wi-Fi. These days we’ve got so much connected to our wireless networks, they can get a little unstable. Finally, think about the seating arrangement and make sure that the couch and chairs all get a good view of the TV, with as little angle as possible. It’ll make family nights a lot more fun. Click here to find out more about the latest Hisense ULED TVs. Builder Island by Lynne Bradley with stepped door profile in matt polyurethane in Resene 'Fuscous Grey' and cupboards in Dulux 'Whitsunday Island', all by Kastell Kitchens. Benchtop/island bench Smartstone Statuario Venato with Dekton Sirius porcelain on island bench in Matt Black. Sink Abey Schock 'Soho N120' from Winning Appliances. Oven/cooktop Miele 'Culinario' pyrolytic and Smeg 70cm induction, both from Winning Appliances. Lighting LED strip lights (on shelf) and downlights, all from Urban Lighting. Furniture 'Saxon' quilted dining chairs from Coco Republic. Chiselled cabinetry and quilted fabrics in soothing tones add dimension and texture to this space. "This open-plan kitchen's galley-style layout was chosen to allow for sufficient space for the family to work together and comfortably flow through the corridor lined with joinery to other areas. Contrasting textures and colours create interest and depth. The kitchen envelops the dining area and is not short on storage. A cut-out in the island adds interest and a useful shelf to display treasured pieces. 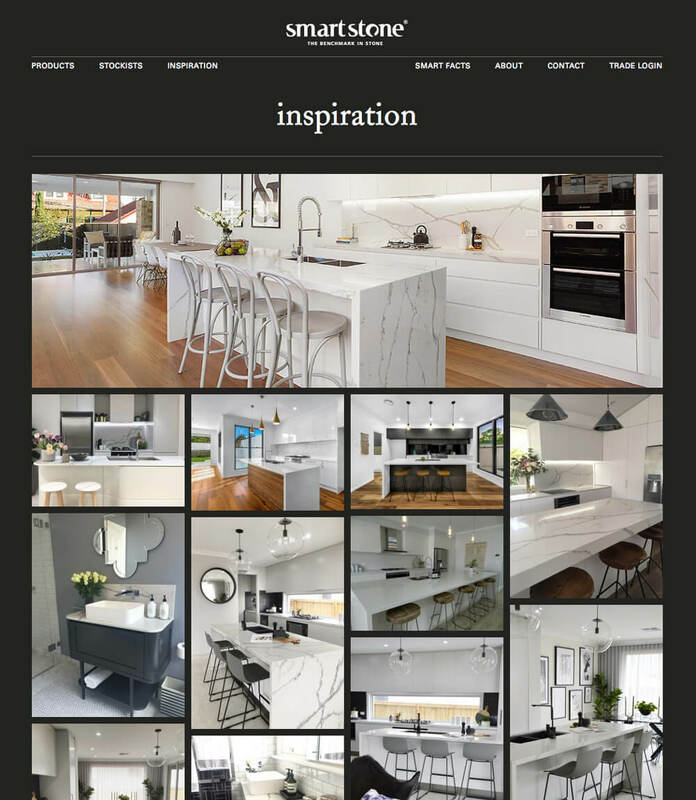 Reconstituted marble was my immediate selection for the bulk of work surfaces and teaming this with a ceramic surface continued the durability, texture and contrast needed." What luxury item did you choose for this space regardless of budget? "A stunning round dining table: the Potocco 'Bon Bon' from Cosh Living with a glass top and powdercoated pedestal." One of Lynne's projects featured in the Smartarse Seats gallery. It was important for designer Lynne Bradley to pay respect to this grand heritage home while achieving a bathroom that was not only beautiful, but boasted functionality. And Lynne has certainly done this by creating a space that exudes pure class and sophistication. Grounded by veined marble flooring, a tranquil environment has been established through the use of the subway tiles in the shower and a generous window, which frames the landscaped garden. The freestanding bath is located on a risen platform, which creates a dynamic feature as you walk into the bathroom. The floor-to-ceiling observatory window creates an amazing backdrop to the crisp white bathtub. The window allows for natural light to flood the room, offsetting the black tone of the vanity. Contrasting with the grey walls are the white subway tiles, which add another layer to the room and work well with the marble flooring. The glass shower door enables you to take in all the different textures of the room at once, and marries with the observatory glass window. There were a few challenges in this design; the floor needed to be completely removed and replaced, and the floor plan was changed to allow for three distinct zones to be created - shower, vanity / dressing and bath. The resulting space has a feel of a luxurious five-star hotel, with the use of colours, lighting, and the integration of the outdoors establishing a truly enviable bathroom. Searching for a NSW weekender to escape the city snarl took one family blissfully off course. Cooranbong Valley is a mixture of weekenders and local residents, some with a long history of farming and logging in the area. Cedar, mahogany, turpentine and blackbutt are the most common timbers. This house is mostly cedar, a beautiful softwood. Aside from its warm honeyed tones, the low density makes it an ideal insulator inside and good cladding material outside. Its pleasing fragrance can also linger for years. Sydneysiders Merrilyn and her husband Tony had been looking for a place to escape with their four children on weekends for six months. After scouring Sydney’s Northern Beaches, the couple did an about-turn on the location. Refocusing the search were Tony’s nostalgia for his childhood, when he spent a lot of time on relatives’ farms in Tasmania, and his daughter’s growing interest in horse riding. Their second home also had to be within an hour’s commute from Sydney and easily accessible from the freeway. The couple found a 20ha property in the Cooranbong Valley with an established home and gardens, close to a town with reasonable services. Its location, on the edge of Watagans National Park, was beautiful, and the previous owners had operated a horse stud there. Five years on, considerable time and effort has been spent on making improvements in the home, renovating the machinery shed, stables and wash bay, replacing fences and upgrading the access road and dressage area. The house gets its water supply from rainwater tanks while the gardens and stock are fed from the dam; fire- hazard reduction is another area they’ve tackled. “The list goes on!” says Merrilyn. Under Lynne’s direction, cabinets and pine furniture the family had owned for up to 30 years were also painted and some given a contemporary feel with leather pull handles from MadeMeasure. The projects are ongoing, but have given the couple a great sense of achievement. “Tony and I have done a lot of hard yakka,” Merrilyn laughs. It’s a different life to living by the coast, but seeing the property transformed has clearly been worth it. “Living up here makes you want to take a deep breath,” says Merrilyn. Simple updates helped to freshen the space. An existing table was painted Dulux Guild Grey and topped with white laminated glass; the seats were softened with chair pads in hard-wearing Globe material by Warwick Fabrics. Artworks bought at a Sydney market. Smart buy: Madras jute rug (250cm), $399, Freedom. The family loves the holiday home’s location, with its abundant bird life, wallabies, resident goanna, echidnas and wombats. It’s also half an hour to their daughter’s horses and dressage facilities. Merrilyn and Tony worked with interior designer Lynne Bradley to create a warm, welcoming feel, integrating the existing 4.8m tree-trunk feature and limestone benchtop. A fireplace surround was designed to house the TV and make the space look more seamless. Corrugated iron was removed from the chimney and tiles from Academy Tiles were applied to the fascia. The mantel is a 200kg piece of timber. Rug, Armadillo&Co. Lynne’s plan for the kitchen was mostly to calm it down, replacing a bright blue oven with a stainless-steel one and painting the cupboards Dulux Grey Pail. Lynne had slipcovers made to cover a well-used King Living sofa. Mirror, West Elm. A tired pine cabinet was revitalised with a coat of Dulux Guild Grey. Artwork, Designer Boys Collections. Rug, Armadillo&Co. This space has been reworked with a Reece Kado Lure bath for long post-ride soaks. The tiles are in black and a concrete-look porcelain. Pattern and texture add interest in the smallest room. Bedheads in Warwick Fabrics Dolce. Lattice cushions, Tigger Hall Design. Polaris lamp, MRD Home. For similar bedlinen, try Pillow Talk. A favourite place for the family to relax and watch the horses run freely around the property. The merbau deck was finished in at least two coats of Cabot’s Deck & Exterior Stain. Smart buy: Byholma wicker chairs, from $169 each, Ikea. Pretty and horse-mad’ was the brief. The walls were painted in Dulux Indolence. Linen, Bed Bath N’ Table. Artworks, Designer Boys Collections. Table lamp, Freedom. Mostly used by Tony, this is just off the main bedroom. The panelled pine desk and shelves were painted Dulux Guild Grey to achieve a classic look. Chair, James Said. Sierra Weave rug, Armadillo&Co. Merrilyn has lovely baskets, crates and pots with succulents dotted around. The herbs are rosemary. Mouse and Mackenzie have a well-earned snack with Zac the labradoodle looking on. Fabrics make it cosy. Chair, Pottery Barn. Ottoman, Winton House. Tap into the sheer genius of these bathrooms, each designed by expansive thinkers. 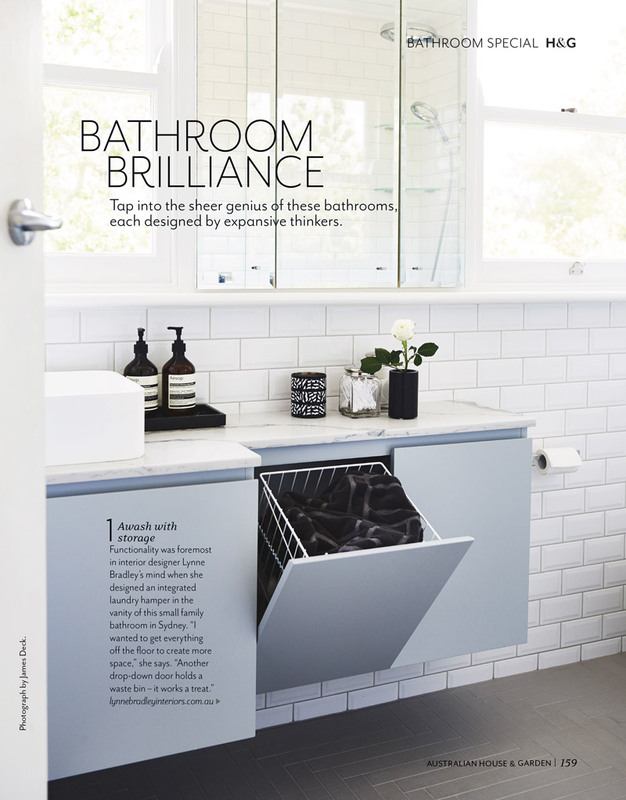 Functionality was foremost in interior designer Lynne Bradley’s mind when she designed an integrated laundry hamper in the vanity of this small family bathroom in Sydney. Emerald accents and gorgeous joinery marry to reveal a sophisticated and luxurious living area. On her first visit to the apartment, Bradley instantly realised it made sense to echo the curved form of the home’s windows. She set about designing a bank of beautifully rounded joinery that hosts the television, provides storage and is undoubtedly the room’s hero. Similarly, sheer curtains soften the space and add a touch of glamour. Limited as to where she could place the sofa, Bradley opted for a deep modular from Cosh Living. “I kept it lowlife to avoid any interruption to the views beyond.” She took a gamble on emerald green as her accent colour of choice and, upon presenting her vision to the owners, was delighted to discover it was their favourite shade. 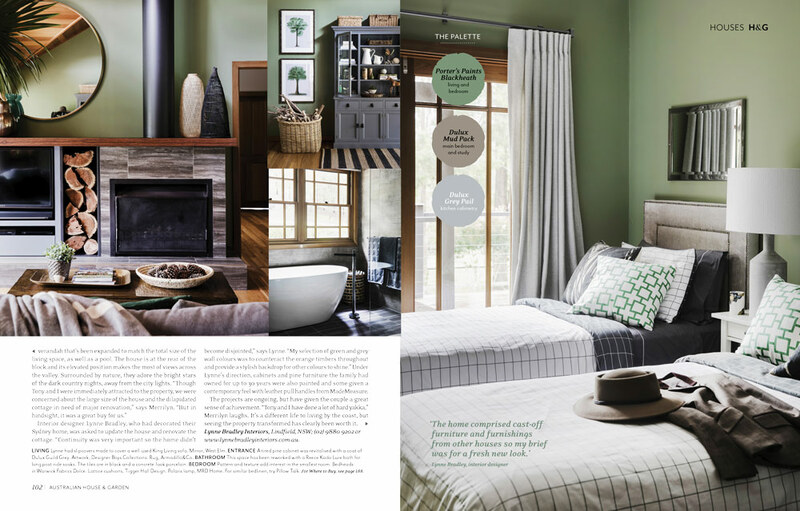 “It’s an energetic complement to the grey and white palette,” says Bradley. The rug, from Designer Rugs, was custom coloured to Bradley’s specifications. The curtains provide a sense of scale and height, and the curvaceous joinery is an elegant storage solution. “The owners really love this space now,” says Bradley. Ascraft carry a beautiful range of textiles from a carefully curated set of designers. We pride ourselves on quality, colour and choice and we remain abreast of global trends in interiors. 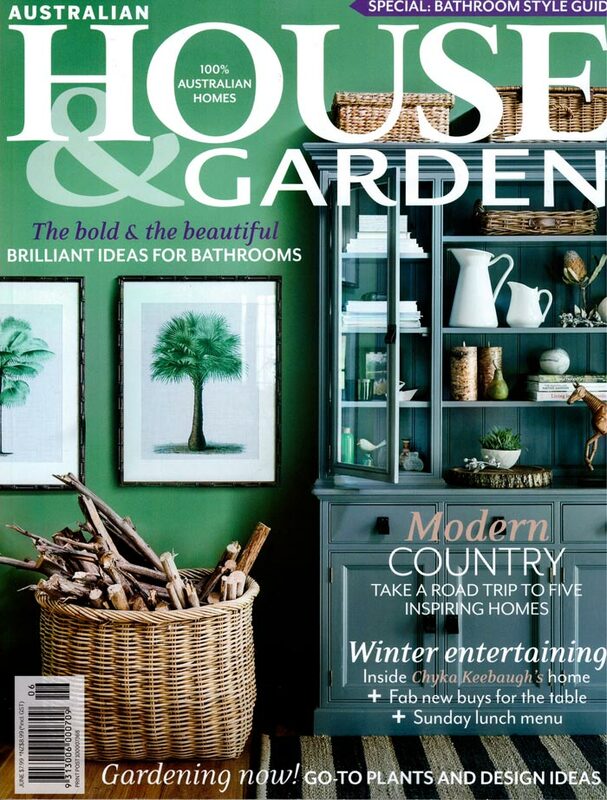 Highly sought after by designers and stylists – our products are regularly featured in design press. 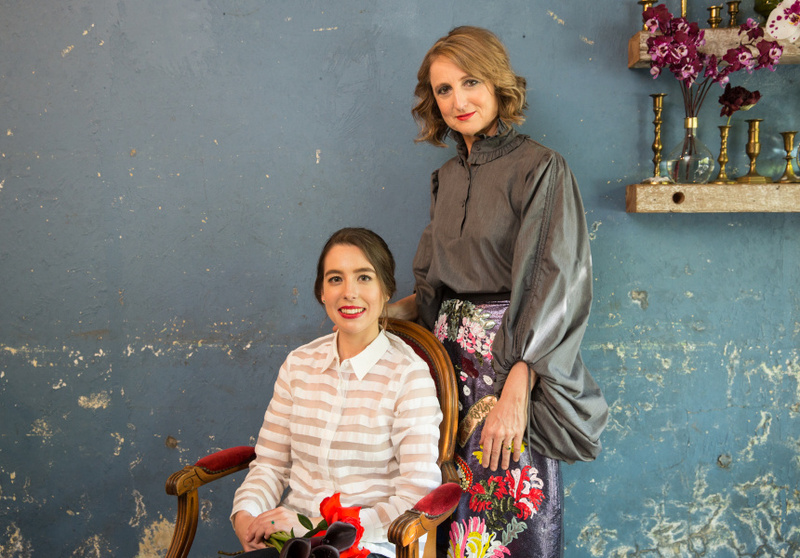 Rapture and Wright began in 2002 when Rebecca Aird and Peter Thwaites designed and hand printed their first collection of fabrics and wallpapers. The philosophy behind Rapture and Wright is to be 100% British. The cloth is woven in the UK. Designs are conceived and hand printed in their studio, using skills that are rapidly disappearing in the UK. Hand printing fabrics and wallpapers to order allow Rapture and Wright to be able to react quickly to the demands of their client. Short runs and bespoke colourways are part of the service. The quality and feel of the design is at the heart of the product. Anni Albers is perhaps the best-known textile artist of the twentieth century. She worked primarily in textiles, but later in life also worked as a printmaker. She produced numerous designs in ink washes for her textiles, and occasionally experimented with jewelry. Her woven works include many wall hangings, curtains and bedspreads, mounted “pictorial” images, and mass-produced yard material. Her weavings are often constructed of both traditional and industrial materials, for example sometimes combining jute, paper, and cellophane. Integriti Bathrooms have recently completed two modern luxury bathroom renovations in conjunction with Lynne Bradley Interiors in Killara, Sydney. We renovated the upstairs bathroom to create a modern space where the children can spend their time and that matches the modern-classic style that has been implemented in the home. While the rest of the house had been updated and upgraded, the bathrooms were left for last – which is where we come in. Due to the home being a period home, there are often little “surprises” in the layout and foundations of homes older than 50 years. We needed to carefully shave down the floor joist timbers to ensure that there wasn’t a step up into the bathroom – a common feature in homes of this age. However with children and a more modern floor plan, this couldn’t be so, and so the floor joists were expertly adjusted to suit the updated flow of the home. The key to success in this space was in the layout. Vanity space in this bathroom was a premium, but also of high importance to the family and a key to creating a space that the kids could function in well. A large shower and a full sized toilet were also a must in the design, which competed with the vanity for space in this awkwardly sized room. A strong layout was necessary to ensure that the bathroom had a strong function as well as a beautiful form. The floor tiles were laid in a herringbone pattern, and in this bathroom more than most it was a difficult process. Due to the natural curved edge of these tiles, we opted not to use any tile spacers as their accuracy would be called into question with the curve. So each tile on this floor has been individually spaced by hand – a job that very few Sydney bathroom renovators would willingly take on, but something that Integriti Bathrooms were more than happy to work with to ensure a modern luxury bathroom finish. The unusual powder blue of the vanity is combined with monochrome tones throughout the bathroom so that the cabinetry and counter top are the absolute star of this space. Black accents and the dark slate tile floor ground the space and create interest and texture in a very white space. The massive walk in shower is a complete piece of luxury with its modern finish rain head and a huge piece of splash glass. Elements like the subway tile and the horizontal-join ceiling ensure that a hint of heritage feature is included, a nod to the way the house was but with a dramatic and beautiful modern luxury upgrade. The design brief for interior designer Lynne Bradley was to aesthetically transform the guest bathroom in this grand heritage home, shifting the layout into a contemporary space that referenced the past. With a freestanding bath surrounded by garden and sky views, the bathroom centrepiece is the custom, curved vanity which features Smartstone Statuario Venato. Innovation meets function with this stunning Smartstone surface that is noted for its luminous white background with distinctive, fluid grey veining. Inspired by the beauty of prized Italian marble, Statuario Venato was key in achieving the design vision of luxury and glamour while preserving a hint of antiquity. Lynne explained, “My vision for this room was that of subtle contrasts and layers. I was drawn to the whiteness of the background of Smartstone’s Statuario Venato, which creates a luxurious and fresh contrast to the depth of the charcoal-coloured joinery in this bespoke vanity. It was important to unify the surfaces by repeating a marble look on the vanity top and splash-back and by using Smartstone I achieved durability and beauty”. 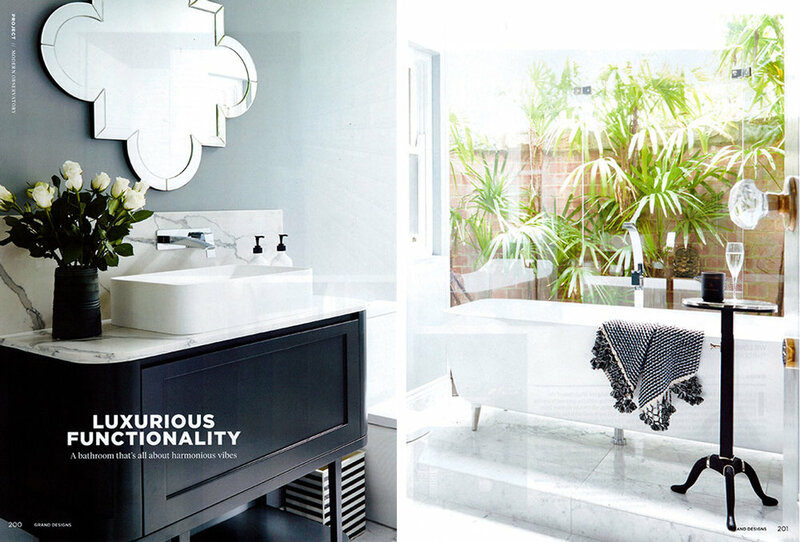 Built by Cibo Design, the vanity links the three zones in the bathroom: spacious shower room, dressing space, and bath. The exquisite marble floors feature a central ‘mat effect’ with marble mosaic tiles, creating a space that feels more like a furnished room than a bathroom. Photographed by James Deck, this glamour bathroom was designed by Lynne Bradley Interiors and built by Integriti Bathrooms. Find Lynne Bradley Interiors on Facebook, Pinterest, Instagram (lbinteriors) and LinkedIn (Lynne Bradley). Killara Pied-à-Terre, featured on Modern Sanctuary. “This inviting apartment was recently purchased by a delightful empty nester who has downsized from the family home and wanted a peaceful, comfortable space with room to entertain her grandchildren and guests”, says Designer Lynne Bradley of Lynne Bradley Interiors. The sophisticated color palette proves that pastels aren’t always “sweet”, and sets the tone for a stylish space. Lynne added glamour to the apartment with elegant furnishings, pattern and texture. A generous bespoke velvet sofa, patterned wallpaper, bamboo floors, custom joinery, new lighting and luxurious fabrics create a feminine atmosphere without feeling at all fussy. Be sure to check out Lynne’s bio at the bottom of the feature for some great designing tips and her go-to artists and craftsmen. 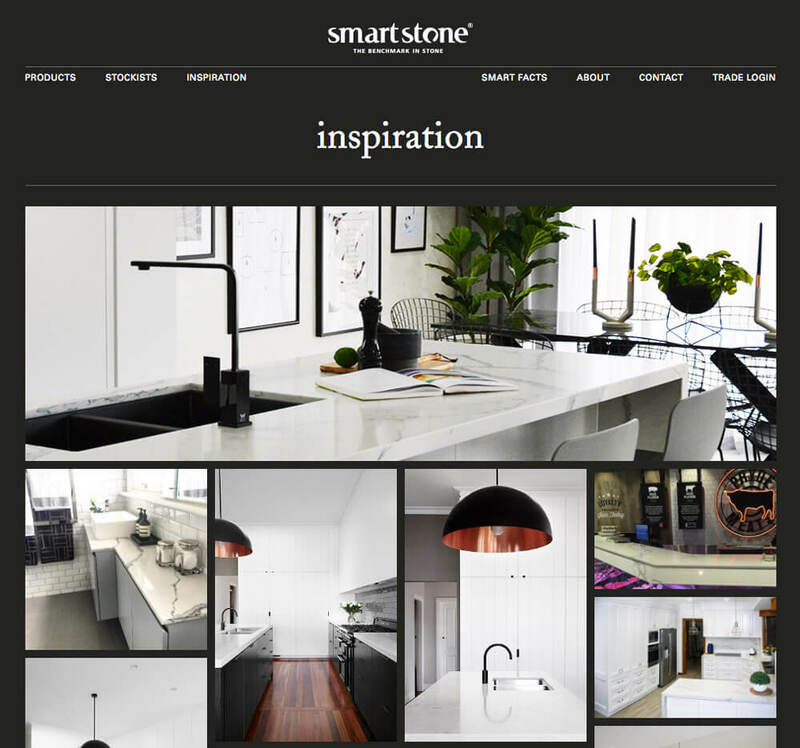 Innovation meets function with this stunning new Smartstone surface. Inspired by the beauty of prized Italian Statuario marble, it features a luminous white background with distinctive, fluid grey veining. New larger slab size. Just because a rental property isn’t your permanent home doesn’t mean you can’t bring your own style into the space. Whether rental or owned, harmonising with the home you live in is always worth the effort to avoid feeling like you’re filling in time. There are some small changes you can make to bring your personality into your property without disregarding the rental rules. Unpack and position your homewares, art and rugs. Add colour by painting feature walls that can be returned to their previous colour when you leave. Rejuvenate your room with removable wallpapers and decals. Provide comfort and help divide the function of areas with rugs. Serve up some style with cushions, lamps, vases of flowers and pot plants. Get savvy, prop mirrors or artworks against walls to create a layered effect. Switch out tired window treatments by purchasing ‘ready-made’ drapes or blinds. The owner’s window treatments can simply be re-hung when you leave. More often than not, drastically changing floors and walls is not on the cards while renting, so you’ll have to get crafty with alternatives. Firstly, rugs and mats of all kinds are your first line of design when covering up an unsuitable floor. Make sure that you place them in proportion to your furniture and and if you’re buying new rugs, consider the function of the space and the durability you require. With regards to your walls, check with your Real Estate agent to see if you can ply some paint. Often, if you agree to return the walls to the previous colour before you leave, you’re more likely to get the go ahead. Even a subtle dash of paint can transform a room so consider painting feature walls, dado’s or colour blocks. A horizontal band of colour will make your room look wider while a vertical stripe(s) will give the illusion of height. If painting permission is a problem, purchase a large canvas or collection of smaller canvases from a discount store and paint them in your desired wall colour. These can then be hung individually or in a grid to create impact, contrast and depth. There are also a lot of beautiful removable wallpapers and decals on the market that can help you reshape your space. A great way to personalise and add interest to your home is to hang your much loved photos, artworks and mirrors. Don’t be frugal in finding good quality hooks to hang your pieces and take the time to choose positions for your hangings that are in proportion to your space and furnishings. Books tell a whole story about you and make wonderful styling tools. They can be stacked and styled on shelves, mantles, tables and can even be used as furniture. Bookshelves themselves are also great design pieces and can act as room dividers, storage and even works of art when cleverly styled. Surround yourself with your favourite faces by putting them into beautiful photo frames and grouping them together on one or more different surfaces. Incorporate your framed pics into your bookshelf or hang them with temporary hooks to create a textural family photo wall. If you’ve got a green thumb, personalise your space by bringing leaves, plants and flowers into your home for a lush look and a sensational scent. Lastly, leverage your look with luxurious towels, soaps and candles in your bathrooms and buying stylish storage boxes and baskets to help organise your smaller items can turn a lacklustre bathroom into a stunning space. 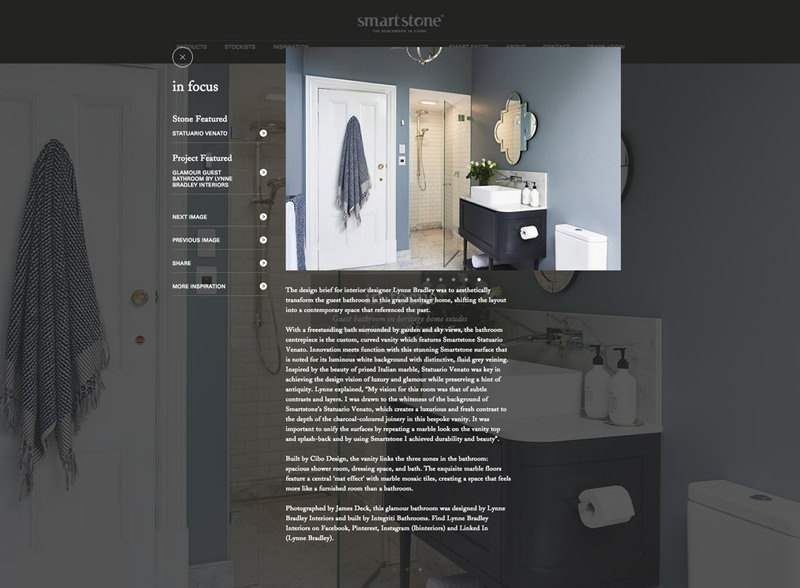 Houzz Asks the Experts: Has Grey Had its Day? Interiors Addict | A luxe guest suite you'd never want to leave.